Wild Pansy Project Space and AMBruno present 101, a sequence of 23 individual screen works, these are silent and of 101 seconds (1' 41") duration, they include animation, live action, sequential stills, written text, and computer-generated image. Working in various disciplines but having a common interest in extending their usual practice, a number of artists came together as AMBruno. Initially this exploration focussed on the medium of artists’ books. Subsequently in a move from the material temporality of the book to that of the moving image it was proposed that the members of AMBruno each develop new work in that form. The project’s sole formal constraint of 101 seconds would encourage wide-ranging and light-hearted experimentation. The screening is complemented by a selection of book works by members of the group. 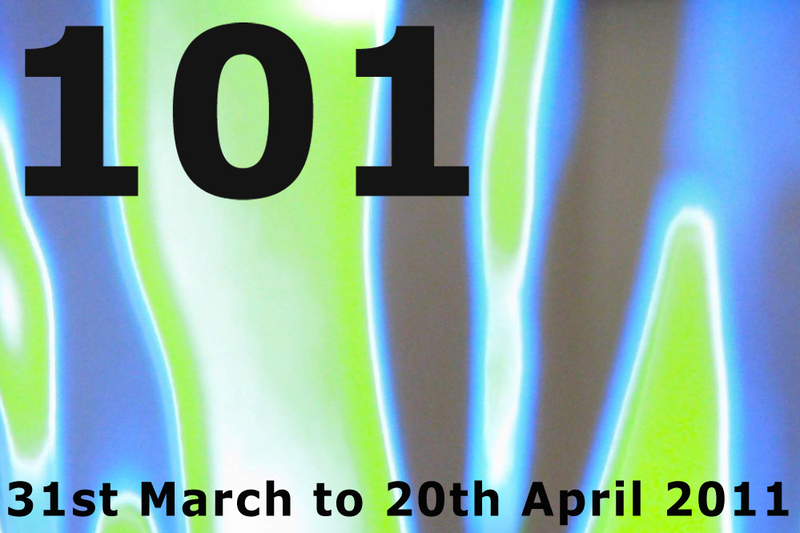 101 is co-ordinated by Sophie Loss and Joanna Hill.